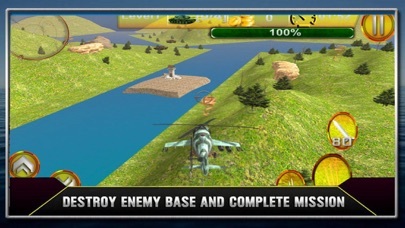 HELICOPTER Shoot Rotket Simulation 3D is a challenging 3D helicopter-flying shooting game where you have to fly across the enemy secret military research center and destroy the enemy to clear the base. 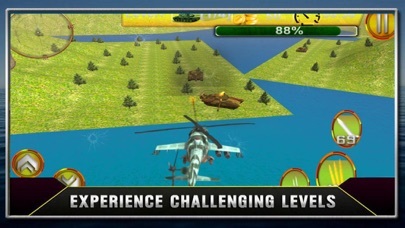 The Game combines stunning 3D graphics with flight control simulation and engaging military scenarios to pull you into an immersive combat experience the moment you start the game. 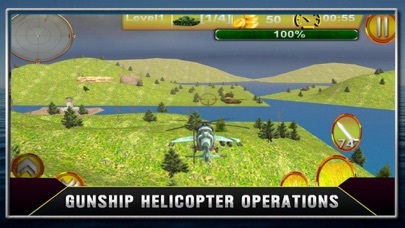 The super military enemy commandos are airborne in a gunship military aircraft; residing on the base and naval warships; it is your mission to defend the Land on battle field.